We will Pre-Inspect all-natural stone deep cleaning, restoration and sealing projects to determine the appropriate customized care plan to meet your specific needs for your specific stone. Your home is as important to us as it is to you. Our Colorado Springs grout cleaning crew will take the necessary precautions with plastic and tape to protect all areas surrounding the areas around and near your natural stone surfaces. 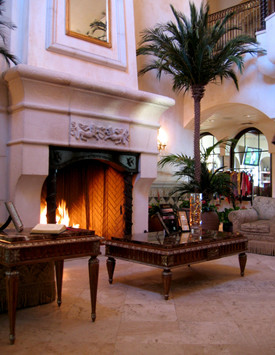 The natural stone deep clean process will vary from surface to surface. Depending on the type of stone, the soiling conditions, traffic patterns and previous maintenance that has been done on the stone, we will use our advanced cleaning, honing and polishing equipment along with our state-of-the-art products to achieve maximum results. All stone that is cleaned will be rinsed with our rinsing tools and our truck mounted systems to achieve the best overall cleaning results. This will be the last step in the natural stone deep cleaning process. Depending on the sealer chosen, we will use a heavy-duty professional grade sealer to protect your stones. MiracleClean’s trained and certified grout cleaning technicians in Colorado Springs will do a walk-through inspection of the areas before we leave the home and give you some tips on how to maintain your stone surfaces. MiracleClean can help breathe new life into your stone flooring with our natural stone deep clean services at a cost far more economical than replacement. Our customers have saved thousands of dollars by taking advantage of our revolutionary technology which uses organic, kid and pet friendly cleaning agents. Let us make your tired floors look like new again; with our 100% customer satisfaction guarantee, you’ve got nothing to lose! If you’re not completely satisfied, we will return to make things right at no charge to you. Give us a call today at (719) 448-0888 or use our handy online contact form to schedule an appointment. We look forward to serving you soon!